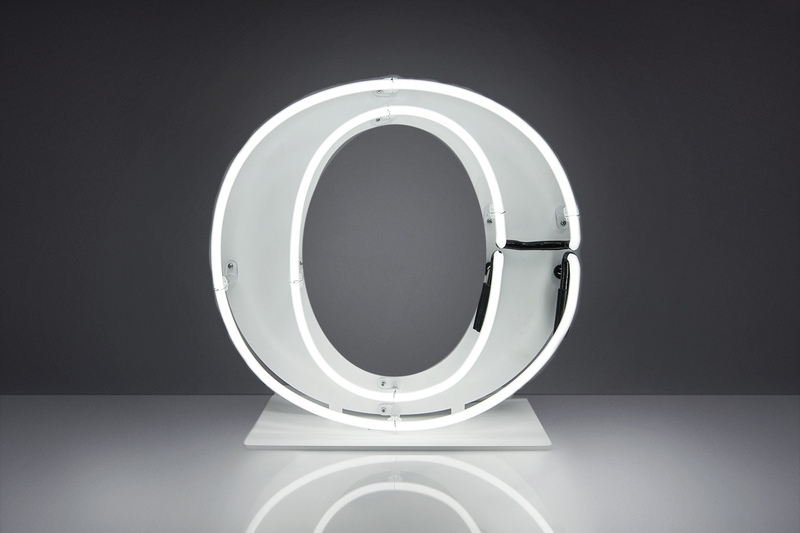 Free standing white neon Alphabet letter. Exposed double outline white neon serif letter mounted onto a profile cut to shape steel backing complete with base plate. Hire rate £90 + V.A.T. Refundable deposit £150 + V.A.T.